The Auburn Cord Duesenberg Automobile Museum, Auburn, Indiana is located in the Auburn Automobile Administrative Building of the 1930's. 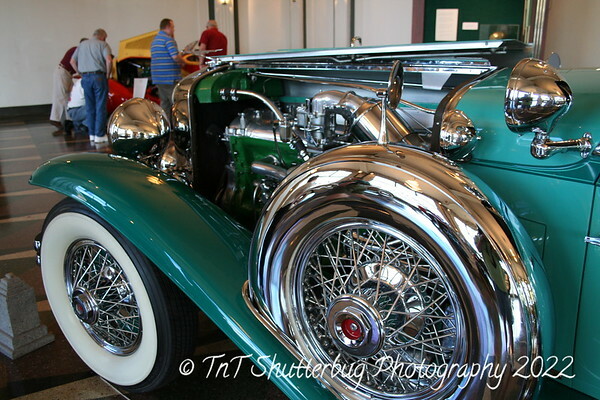 It's an art deco masterpiece with over 100 Classics on display, history of the ACD autos, giftshop and banquet halls. Enjoy these pictures and plan your visit today! 1931 Duesenberg Model J Murphy Convertible Sedan, J-453 / 2453, owned by the ACD Automobile Museum (donation of Bill Bocock Estate). This was the last Murphy Convertible Sedan built.